Timing is everything. Especially when it comes to taking that all important step when planning for your special day – choosing a date. However making up your mind at times can be a bit difficult. Especially when your nearest and dearest happen to be divided into factions on the issue: those who love seasonal weddings and those who believe there’s absolutely no need to restrict yourself to one part of the year. So which option is the best? Below I have laid out the pros and cons of each to ensure you are able to make the choice that suits you perfectly. Ease of implementing your plans: Setting your heart on a seasonal wedding means that you often know just what to look for from the outset in terms of decorative themes. As a result, your plans tend to become wonderfully streamlined and fall into place with ease as you select your venues, dresses and suits as well as decor for the special day. Making the most of nature’s splendor: Planning a seasonal wedding often enables you to be more alert to all the ways you can capture the natural beauty of the season. And whether it happens to be your floral arrangement, your decor or even your gowns, suits and accessories, those choices will shine through beautifully in your wedding photography. Amazing weather and photo opps: Certain seasons are renowned for clement weather and loads and loads of golden sunshine. The parts of the year in question are of course summer and spring. And choosing a wedding date at those times of the year means amazing weather which is bound to lift your spirits and make for especially radiant wedding photography. Extra planning may be required: Setting your heart on a particular season might often mean having to plan for weather contingencies associated with them. 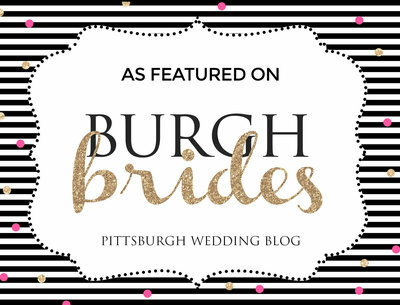 For example I often advise friends planning a Pittsburgh winter wedding on the need to ensure their guests are kept warm and cozy. I have also covered weddings where boots and umbrellas were provided to ensure guests were able to get to their vehicles warm and dry when leaving the venue. Problems with getting vendors and venues: Certain seasons are pretty notorious for a scarcity of vendors and venues. One such season happens to be summer. Especially since most couples opt for weddings during this time of the year. And working as Pittsburgh wedding photographer in a city renowned for inclement weather, it’s pretty easy to understand why. However, having your heart set on this season may mean you could miss out on amazing discounts available during other seasons such as autumn or winter when things tend to be quieter. So having taken a look at the pros and cons listed above, which camp should you listen to? The answer is pretty simple: you and your spouse have the final say. After all, it’s your special day. And thanks to the pointers listed above, you will be aware of what pitfalls to take note of and the benefits you stand to gain as well.